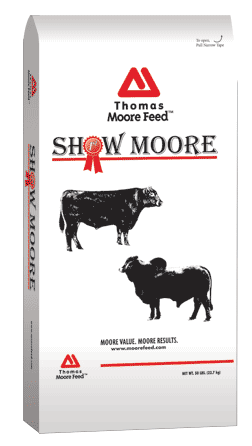 High energy growing ration for Beef/Show cattle. Safe transition ration with palatable Multi grain formulation. Contains flaked corn and fortified with organic trace minerals. Feed at the rate of 6.7 lbs to 24 lbs per head per day to supply 100 nor more than 360 mg of lasalocid per day. Always provide adequate roughage and fresh, clean water. A withdrawal period has not been established for this product in pre-ruminating calves. Do not use in calves to be processed as veal. Do not allow horses or other equines access to feeds containing lasalocid.